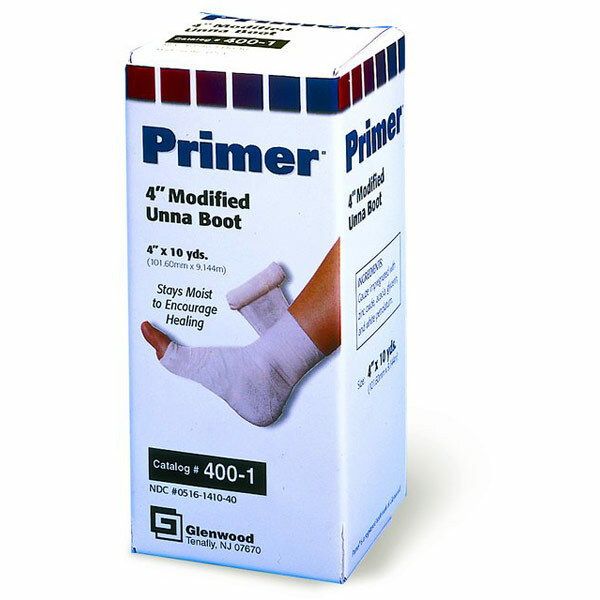 Primer Modified Unna Boot Dressing 100 percent soft cotton gauze impregnated with nonhardening zinc oxide paste. Safe and effective treatment for leg diseases such as venous stasis leg ulcers and lymphatic edema. No gelatins or preservatives.